The Second Temple was alight, burning to ashes. It seemed that all was lost. 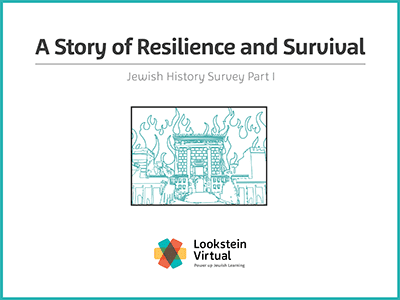 However, centuries after the destruction of the Beit Hamikdash, we find evidence of the Jewish people and Judaism not only surviving, but thriving. How did that come about? How did Jewish leaders respond to challenges posed to them by foreign rulers? 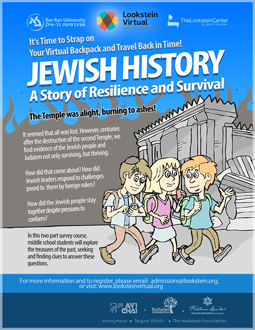 How did the Jewish people stay together despite pressures to conform? In this survey course, middle school students explore the past, seeking answers that are as meaningful centuries ago as they are today.